All natural birth control pills are an appealing alternative to traditional oral contraceptives. The new form of the pill offers many benefits, including effectiveness and a potential for fewer side effects. In spite of its appeal, however, the option is not available for everyone as it has not been approved for use in the United States. The birth control pill is a popular way to prevent pregnancy that contains hormones to prevent a woman's body from ovulating. In most cases, the pill consists of a combination of progesterone and estrogen, hormones that affect the uterus and ovaries. Since the ovaries do not release eggs, fertilization is very unlikely. In addition, the hormones serve to thicken the mucus near the cervix. This makes fertilization less likely because the thick substance blocks the sperm, making it more difficult to reach the egg. In some cases, the pills may affect the lining of the uterus, interrupting the ability of the egg to attach to the uterine wall. All natural birth control pills are designed to work the same way as traditional oral contraceptives, but they consist of bioidentical hormones derived from plant extracts. 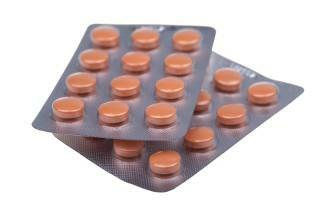 Some women take a low dose birth control pill to lessen the side effects of traditional pills. However, the development of a natural oral contraceptive may encourage more women to avoid synthetic hormones. The natural pill is Qlaira, a plant-based oral contraceptive developed by Bayer Scherine Pharma, the same company that developed the low dose contraceptive Yaz. This option is made of bioidentical hormones that come from plants, giving it the "natural" designation. However, it is important to note that a pharmaceutical company extracts and develops the pills. The "natural" label does not mean they are the same hormones that are normally produced by a woman's body. The ingredient of interest is estradiol. Estradiol valerate is identical to estrogen naturally produced in a woman's body. The natural hormone combines with progestin dienogest. This new class of ingredients is metabolized by the body seamlessly and, potentially, with fewer side effects. Previous efforts in developing a new estrogen element in birth control pills have been unsuccessful, although the progestin components have developed well over time. Estradiol valerate paves the way for a more natural prescription to prevent unwanted pregnancies. The natural prescription may be effective in treating dysfunctional uterine bleeding (DUB). This condition occurs with prolonged, frequent, and excessive menstrual periods. Bayer Schering Pharma is planning to use Qlaira as a treatment for DUB, making the prescription the first approved for treating the health problem. Qlaria is readily available in the United Kingdom, but it has yet to be approved in the United States. A Bayer Healthcare press release states that Bayer Schering Pharma has submitted the natural contraceptive for approval through the Food and Drug Administration in the U.S. The new drug application seeks approval to use the prescription as an oral contraception to prevent pregnancies and it seeks approval as a treatment for dysfunctional uterine bleeding. If you are interested in using all natural birth control pills, speak to your healthcare provider about the risks and benefits of this type of birth control before making the switch.